The island of Ta’u in American Samoa, located more than 4,000 miles from the West Coast of the United States, now hosts a solar power and battery storage-enabled microgrid that can supply nearly 100 percent of the island’s power needs from renewable energy. This provides a cost-saving alternative to diesel, removing the hazards of power intermittency and making outages a thing of the past. Tesla completed its $2.6 billion acquisition of SolarCity this week, and, to celebrate, the company has announced a major solar energy project: wiring up the whole island of Ta’u in American Samoa. 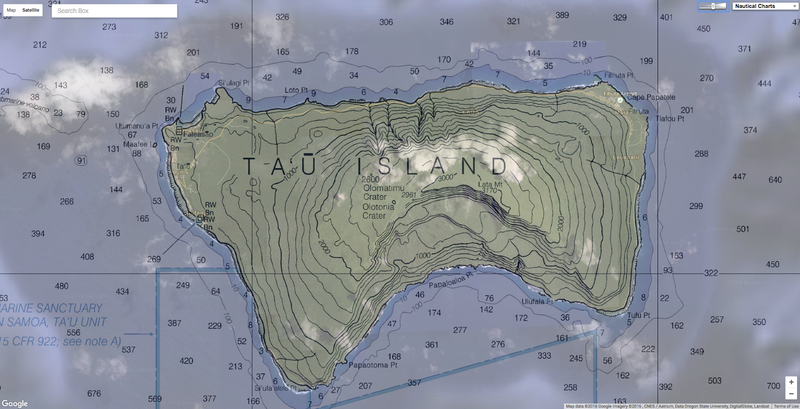 Previously, the island ran on diesel generators, but over the past year Tesla has installed a microgrid of solar energy panels and batteries that will supply "nearly 100 percent" of power needs for Ta’u’s 600 residents. The project seems intended to show off the potential benefits of the SolarCity acquisition, with Ta’u’s microgrid comprised of 5,328 solar panels from SolarCity and Tesla, along with 60 Tesla Powerpacks batteries for storage. But buying SolarCity remains a risky move for Tesla, with the purchase including billions of dollars of debt for a company that's far from profitable (SolarCity spends $6 for every $1 it makes in sales). Nevertheless, Tesla CEO Elon Musk describes the acquisition as "blindingly obvious" — a necessary step in his so-called "Master Plan" to integrate clean energy generation and storage. The microgrid – 1.4 megawatts of solar generation capacity from SolarCity and Tesla and 6 megawatt hours of battery storage from 60 Tesla Powerpacks – was implemented within just one year from start to finish. The project in Ta’u shows the benefit of this. It was funded by American Samoan and US authorities (including the Department of Interior), and Tesla says it will offset the island’s use of more than 109,500 gallons of diesel per year, as well as the expense of shipping that fuel in. "Factoring in the escalating cost of fuel, along with transporting such mass quantities to the small island, the financial impact is substantial," said Tesla in a blog post. The microgrid will allow the island to stay fully powered for three days without sunlight, and its capacity will recharge fully in seven hours. In just one year, Tesla and SolarCity created a solar-powered island. the result is a system composed of more than 5,000 SolarCity solar panels and 60 Tesla Powerpack battery storage systems. Local businesses, along with essential services like the hospital, police, and fire stations, will all use solar power "This project will help lessen the carbon footprint of the world," local resident Keith Ahsoon said in a Tesla blog post. "Living on an island, you experience global warming firsthand. Beach erosions and other noticeable changes are a part of life here. It’s a serious problem, and this project will hopefully set a good example for everyone else to follow."